Spring may be the best time of the year to catch largemouth bass, but lots of fishermen don’t make the most of it. Far too many of us tend to fish the same way day after day, randomly casting along shorelines in a hit or miss fashion. If the bass don’t cooperate, we figure they just aren’t feeding and let it go at that. Sure, we manage to catch a few bass, but that’s because even a blind hog will find an acorn occasionally. If this sounds familiar, it’s time to make some changes. This means giving more thought to things like weather, water temperature and the changing patterns bass adapt to as they go through their long spawning cycles. The following tactics can get you started on the right track. Use them and you’ll not only catch more bass this spring, but you’ll also have a much better shot at hooking into a lunker. 1. Get Started Early: One thing that bass have in common with us is that they think about spawning a long time before they get around to it. That means largemouths – and especially the biggest females – often begin making forays into shallows to check out spawning areas weeks, even months, before the first leaves appear on the trees. During this prespawn period, it’s not unusual to make outstanding catches in March and April, even February or earlier from the mid-Atlantic states on south. One key is to fish during warm spells in the early spring, especially if these periods last several days. It doesn’t take a heat wave to launch big bass on a feeding spree. Often daytime highs in the upper 50s will do it. Look for two distinct patterns. If it’s still early in the spring, fish points and deeper shorelines in water four to eight feet deep using spinnerbaits, rattling minnow lures, jig n pigs or diving crankbaits. Bass use these mid-depths as transitional staging areas before they move shallow into the shallows. Don’t neglect the shallows, however. Even early, big bass often move inshore, but a cold snap will quickly force them back to deeper water. When you find bass in shallow areas, they’ll be hungry. 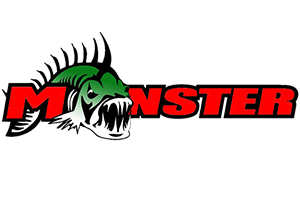 Try them with spinnerbaits, rattling lures or shallow diving minnow imitations. 2. Fish the Weather Fronts: Those warm periods in the spring are frequently followed by bitter, fast moving cold fronts. Knowledgeable bass fishermen learn to look for these patterns because the best fishing is likely to occur on the last warm day before that sharp cold front passes through. Sometimes fishing peaks as the wind begins to rise and the weather deteriorates. Ideally, you’d like to start fishing in your shirt sleeves and finish in a goose down jacket. Slow moving fronts that don’t create sharp and rapid drops in temperature aren’t usually as reliable, but they may still provide decent fishing. After a cold front passes you’ll almost invariably have very poor fishing the first couple of cold, clear days. 3. Keep Track of the Water Temperature: Get a thermometer and use it. Although it is possible to catch early spring bass in nasty weather in 40 degree water, your chances improve greatly after the surface water temperature passes 50 degrees. For many anglers, the magic mark seems to be about 57 degrees. At that point, and as water temperatures rise into the 60s, bass often become more active both in mid-depth staging areas and increasingly in the shallows. Largemouth bass begin active spawning when the water temperature reaches 68 to 72 degrees F, and some bass eat less often when they’re actively bedding. However, all bass don’t spawn at the same time. Even at the peak of spawning there will be plenty of fish still feeding aggressively, including some that haven’t spawned yet and some that may have finished. Where it’s legal, it’s also possible to catch fish while they’re on their beds, although such fish should certainly be released. The trick is to approach quietly and use smaller lures or lightly weighted plastic worms and lizards. Even a bass that’s not feeding will sometimes attack these baits simply to remove the threat. 4. Fish the Correct Side of the Lake: Bass are especially sensitive to temperature changes at this time of year, and will often seek out spots where the water is only marginally warmer. Your thermometer will help, but knowing where to look will save time. Creeks feeding into lakes often carry rainwater runoff that is warmer than the lake water, and bass tend to gather in and around the mouth of these creeks. Such areas also provide likely spawning grounds. Sunlight and wind also influence surface temperatures, and you’ll often catch more bass in coves and along shorelines on the north and east sides of the lake. Not only do these areas get more afternoon sun, but they are also protected should there be chill winds blowing from the northeast. Only the surface layer will be warmer early in the spring, so don’t be surprised to find bass suspended on top. Look for them on the submerged ridges of long points, in shallow coves and over expansive flats where they may be basking. They may be wary, however, so make long casts. Rattling lures are very effective, and they cover open water quickly. 5. Fish Small Bodies of Water: One of the most effective tactics in the early spring is to pass up the big lakes and spend more time on smaller waters. Ponds and small lakes warm more quickly because they aren’t as deep, frequently have clearer water and are sheltered from the wind. As a result, small-water bass often become active weeks before they do on large impoundments. Fishing pressure is also often less intense. On a massive lake, you may spend hours fishing spots virtually devoid of fish and not even know it. However, you can fish an entire pond in just a few hours and be relatively sure that big bass will at least see your offerings. 6. Don’t Pass Up Murky Water: You might want to avoid lakes the color of red mud, but moderately stained water with a greenish tinge is better than water that’s too clear. Bass can see lures surprisingly well in all but the muddiest water, and they can hear even better. If other conditions are favorable, don’t let a little mud deter you. Bright, noisy rattling lures and spinnerbaits are your best bets, and chartreuse is probably the best color. Silver also seems to work well, and black is surprisingly visible in muddy water. 7. Pay Attention to the Bottom: Even many knowledgeable bass fishermen overlook this vital factor. When bass move into the shallows, they’re looking for food and also an ideal spot to fan out a bed. For spawning, bass will seek out a sandy or pea-size gravel bottom before they settle for anything else. You won’t find bass spawning on solid rock or bottoms that are too soft and mucky from accumulated silt. How do you determine what you can’t see? If possible, fish where you’ve caught spawning fish before in previous years. Otherwise, you can often identify the type of bottom by looking at the nearby shoreline. The residue on your anchor may also give you a clue, or you can probe shallow spots with a paddle. Even your depth sounder will help by distinguishing the rock or muck best avoided. 8. Don’t Overlook Cover: Fishing the right cover is the most important tactics at this time of year. Early in the season before bas go shallow, those deeper staging areas almost always have plenty of stumps, brush or rough bottom structure. As the season progresses and bass begin to move towards the shallows, you’ll want to concentrate on a different type of cover. High water is common in the spring, and you’ll often find bass in flooded brush, willows and trees on points. Fish the tip of a point and both sides, then get in close and cast among the trees and stumps, if possible. Be sure to fish flooded stands of willows and other similar brush in the backs of coves. Bass love to spawn in these areas, and the biggest females will move in earlier than you might expect. Fish flooded brush and willows first by probing the outer edges with lipped crankbaits and rattling lures, then move in close and fish the thickest cover using spinnerbaits and jig n pigs, both of which are nearly weedless. Weighted soft plastic lizards, Texas rigged, are also effective in heavy, shallow cover. 9. Fish Close: Think of spring bass fishing as hand to hand combat. With few exceptions, you’ve got to mix it up inside to be effective, especially after the fish have moved into the shallows around heavy cover to spawn. Make short, accurate casts into and under willows and clumps of grass or other cover. This is also where flipping is effective. Spinnerbaits, jig n pigs and lizards are your tools now, and you want stout rods and strong line – at least 20 pound test – for muscling whoppers out of cover. There’s one other tactic that you definitely don’t want to overlook in the early spring, and it may come as a surprise. Many weeks before traditional topwater lures begin to be effective, bass often show a fatal attraction for buzzbaits, those splashy, gurgling surface spinnerbaits with the huge blades. Even very early, whopper largemouths will often eat these lures when they won’t hit anything else. Fish buzzbaits close around cover (they seldom hang up) or make long casts over flats. Use a steady or slightly erratic retrieve, but keep them moving. 10. Stick To Proven Lures: You can cover every spring situation with a selection of spinnerbaits, rattling lures, jig n pigs, buzzbaits, soft lizards and shallow and deep diving crankbaits, but you may not need them all. 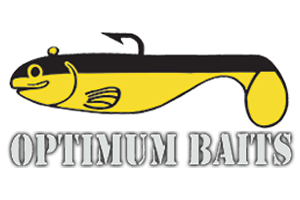 Of these, the spinnerbait will handle both heavy cover and mid-depths, whereas the rattling lure is a superb choice everywhere except in the thickest cover. That’s it for the basics. You’ll add refinements, no doubt, and you’ll still have some poor days. Everyone does. But if you’re persistent, you’ll be rewarded.